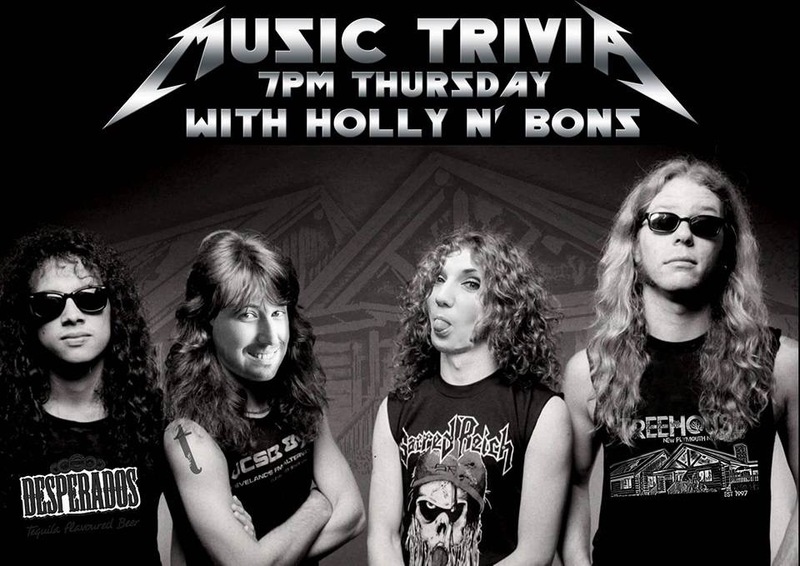 Come on down and try your hand at music trivia every Thursday from 7pm. Free entry for all and hosted by the lovely Holly and Bonz. A great night out to share a quiet beer with a group of mates and engage those brainwaves! Treehouse food and beverage vouchers to be won. Take part in the 8-week challenge for your chance to win more vouchers and get your name up on our Music Trivia Champions Board!